Thank you for selecting Applied Plastics Machining. 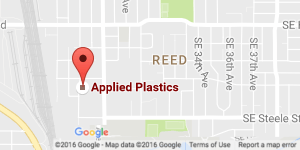 We provide a wide range of services, including plastics machining, acrylic fabrication, UHMW extrusion, and much more. So that we can better assist you, please take a moment to fill out the form below, and a member of our team will contact you shortly.